Here are some single DieCut Page Kits or Laser Cut Scrapbook Page Kits to help make some of your simple, quick and easy, but exceptional. These are from a company called Scapp-E-Do Inc, at www.scrap-e-do.com. I found these particular DieCuts at the CK Convention in Charlotte, NC at the Scrap-E-Do booth in 2010 and 2011. These should provide you with some Quick & Easy scrapbook layout advice. 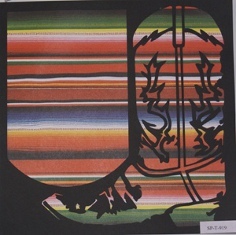 I found this DieCut Page Kit called "Boot" first and fell in love with the paper behind it that looked to me like an Indian Blanket. I looked for a coordinating page, but the lady that owned the booth suggested using the DieCut on one side and the sheet of paper backing the die cut for another page. I liked that Idea, so this is what I came up with - but I still have not used the Indian Blanket Paper. I had several ideas for this Premade DieCut Paper kit when I purchased it. 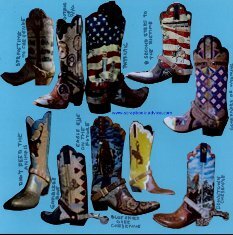 I am a collector of Western Boots and I thought about showing off some of my collection. I was also planning to purchase a new pair of boots on my trip and get photos of the ones I liked but did not buy. 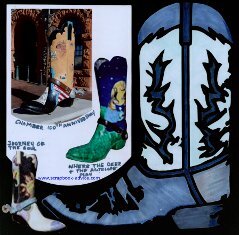 Then when I got to Cheyenne, Wyoming I ran across large 8' boots all over town in a display called "These boots are made for Talking". The displays were a joint project of the Cheyenne Depot Museum Foundation and the Downtown Development Authority to raise funds for the Museum Endowment Fund. I was disappointed that I did not purchase more of these particular DieCuts. The Cheyenne Boots were beautiful and I got photos of most of them. Some of them are here on these layouts. Many of the page kits that I purchased were for Western Themed pages as I was on a Road Trip that would take me to Wyoming for a good part of my trip. 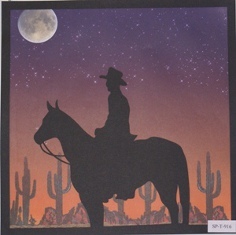 This beautiful DieCut Page Kit called "Ride the Range" will be used for some of my photos that depict the Wyoming Sunset. I may not even put any photos on this page, but use the companion layout page for some of the sunset photos I have taken. 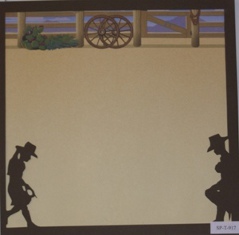 Planning to hit the Rodeo while in Wyoming, I knew this DieCut Kit called "Kids in the West" would come in handy also, so I planned ahead to take a few photos for this page kit. South Dakota, Mount Rushmore and the Black Hills - another stop on the Mega Road Trip. 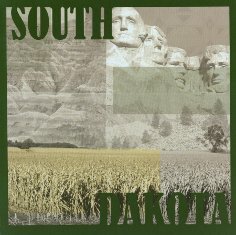 I found this DieCut Kit called "South Dakota" would be put to good use. Again, I took so many photos in South Dakota that I wished I have purchased more than one of these, but it will be great for my South Dakota Scrapbook Cover page. I hope showing you some of these Premade DieCut Paper Kits will help you get an idea of how useful they can be to make your scrapbooks just awesome. Go back to Scrapbook Page Kits for more helpful ideas.